On behalf of Admin of JML Law, A Professional Law Corporation posted in Pedestrian Accident on Thursday, Aug 09 2018. Los Angeles is one of the most beautiful cities California has to offer residents and visitors. There’s so much history here that you can keep busy for days. It’s also a great city in which to walk around to get to work, the doctor, to school or to run errands. When you are on foot in Los Angeles you are at risk of being struck by a vehicle at any time. A vehicle could jump the curb and hit you on the sidewalk. It could run a red light and hit you in a crosswalk. Our Los Angeles pedestrian accident attorney offers the following tips for staying safe as a pedestrian so you can enjoy all that the city has to offer. One of the best things you can do to remain safe as a pedestrian in Los Angeles is to obey traffic signals. Too often a pedestrian will ignore the lights at an intersection and try to cross, only to have to deal with oncoming traffic. Pedestrians should never jaywalk either. Jaywalking is when a pedestrian crosses the street where there is no crosswalk and when the light does not permit it. If you obey the traffic signals when walking should you be able to avoid accidents that could lead to serious injuries and even death? Just because the traffic light changed and the walk signal activated it does not mean that all drivers will stop. Too often drivers will run red lights or make illegal turns when there are pedestrians present. You need to wait before you enter a crosswalk. Count a couple of seconds from after the light changes or walk signal activates before stepping out into the crosswalk. This will help ensure that there are no vehicles running the light or making a turn in front of you. It’s easier said than done but you should try to avoid walking at night. This is not just for your overall well being but it can also help you stay out of an accident. Cars and trucks have a harder time seeing pedestrians at night because of the darkness and the likely dark clothes you are wearing. If you must walk at night it’s a good idea to bring a flashlight with you. Point the light on the ground so oncoming vehicles know you are there. The worst thing you can do when walking around the city is to zone out and not pay attention to what’s going on around you. Too many times we’ve seen pedestrians unknowingly step out into the street because they are texting, talking on the phone, listening to music or talking to someone they are walking with at the time. You need to pay attention as much as possible when walking around the city. It could potentially save your life. 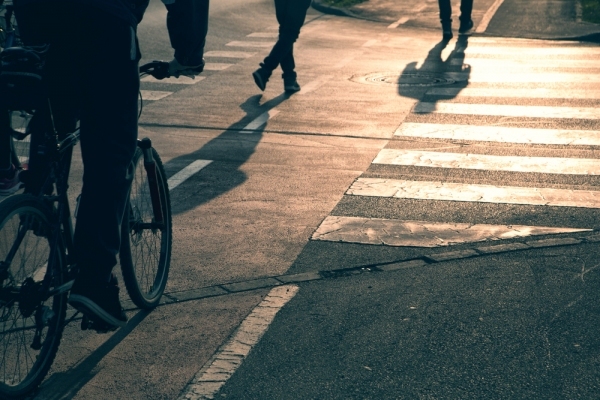 Have you been injured in a pedestrian accident in California? It’s time for you to speak with an experienced Los Angeles pedestrian accident attorney about your injuries. Contact the office of JML Law, A Professional Law Corporation to schedule a consultation.